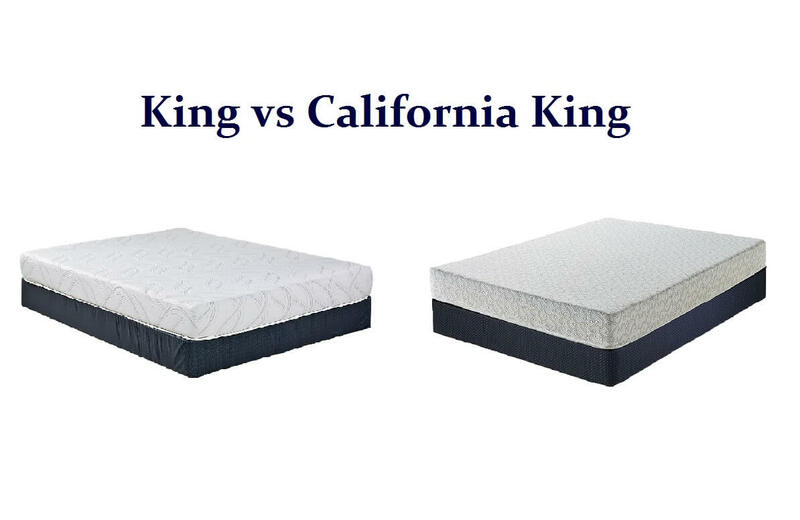 King vs. California King: Which One Will Make You Happy? Do you want to feel like a king? Even though we’re not royalty, a great bed can make us feel luxurious. 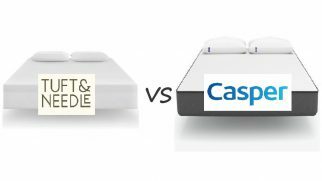 Today, we are going to compare King vs. California King mattress sizes and see which one is better for you and your family. The Perfect Fit: Who Is Going to Enjoy Each Size the Most? The size difference between King and California King is what can help you make up your mind. It’s also a feature that might confuse you a bit since this difference isn’t that significant. So, let’s take a closer look at the King vs. California King and see how they differ from each other. Now, the size of a King bed is 76 x 80 inches, while a Cal King is 72 x 84 inches. You see the difference, right? Saying that one of these mattresses is bigger than the other would be a mistake since one of them is the longest one (Cal King) and the other one is the widest (King). This might make it a bit harder for you to choose between the two, so it is helpful to look at other features and details. 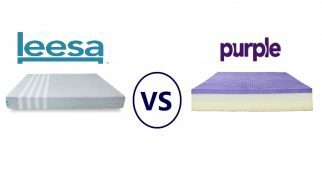 Now, in this California King vs. King comparison, we should remember that shopping for a mattress must always be based on your personal, individual preferences and circumstances. You sleep with a partner and both of you want more sleeping space. One of you or you both tend to toss and turn a lot during the night. You want your partner to remain undisturbed when you move during the night (in this case, the mattress also has to show great motion isolation levels). You or your partner aren’t too tall (since the King size mattresses are shorter than the Cal King ones). 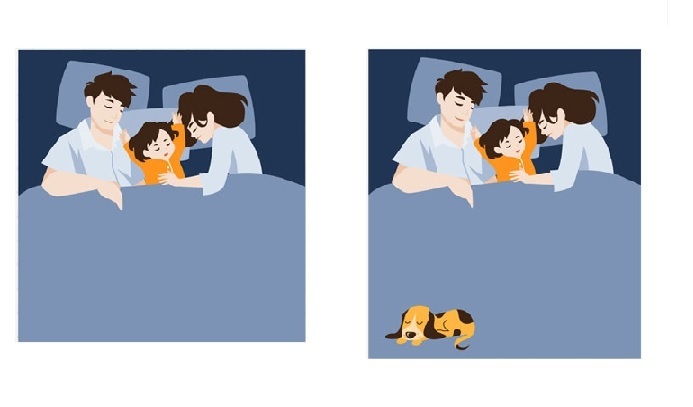 You and your partner don’t need a very wide sleeping space and prefer lying close to each other. You or your partner (or both of you) are rather tall. You want more foot space. You don’t toss and turn a lot during the night. 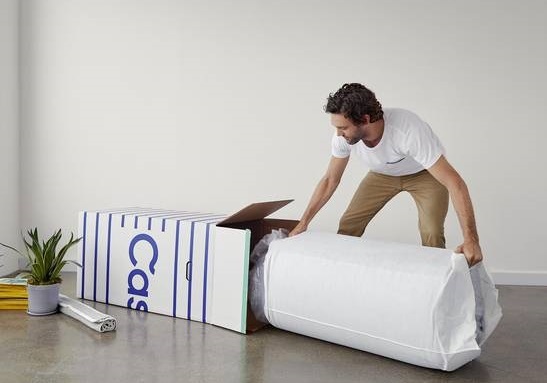 A little note for you: if you move a lot when sleeping and tend to disturb your partner, the Cal King mattress would still be a suitable option but only if it shows excellent motion isolation properties. 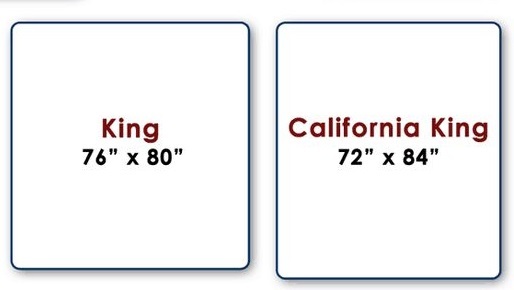 The size difference between King and California King isn’t that big, therefore the room size requirements for these two mattress sizes will be almost the same. The golden rule is as follows: there should be at least 2 feet of free space on all three sides of your mattress, no matter what size it is. 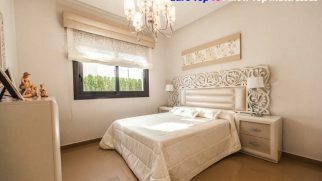 For the King bed, your bedroom should be at least 10 x 12 or even 12 x 13 feet. Of course, this will also depend on the number of furniture items you have in your bedroom. As for the Cal King, the ideal room size is 12 x 12 or even 12 x 14 feet. This will make your room still feel spacious, even with all of the other furniture in it. Keep in mind that both King and Cal King look the best when put against the wall (with the head facing the wall, not one of the sides). This will make the bed accessible to both you and your partner. Plus, everything in the room will look more aligned, and the bed will fit in the bedroom space more organically. The tricky thing about both King and Cal King is the fact that they are quite large (obviously). Therefore, before even considering buying one of them, think about the delivery and moving processes. Are your doorways and corridors wide enough to let a King or a Cal King mattress through? My advice is to measure the doorways first. 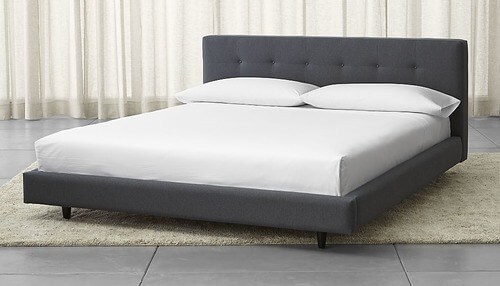 Even if you buy a memory foam mattress that comes compactly and conveniently vacuum sealed in a box, there’s a chance that one day you will have to move your bed from one room to another (or even from one house to another, who knows). Therefore, it’s always a wise decision to measure your doorways first, especially if you are planning to get the King mattress, which, again, is the widest size available on the market. You doorways don’t have to be as wide as the mattress itself, but you should be able to fit it through on its side. Just a heads-up for you. When considering King vs. California King, it all falls down to your individual preferences. Personally, I prefer the King option, as it allows me to sleep on my side in a comfortable fetus position without poking my loved one with my knees. 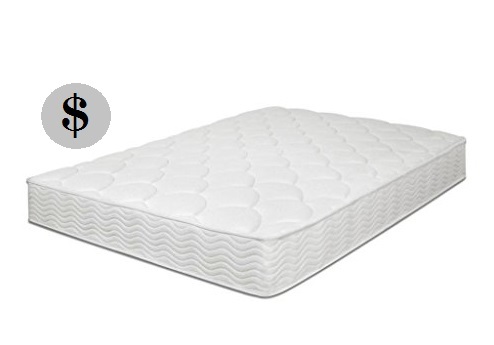 Going with the King mattress will also help you save some money not only on the mattress itself but also on the sheets, bed frame, mattress topper, protector, and other accessories. 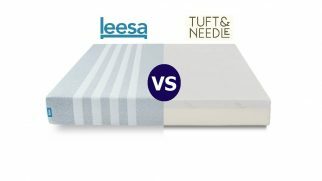 Moreover, you won’t have any troubles trying to find suitable accessories for your King mattress since those are widely sold in numerous shops and online stores. However, if your budget isn’t limited and you want a longer mattress, the California King bed will also be a great choice. Make sure you have enough space in your bedroom and enjoy some extra legroom sleeping on your brand new Cal King mattress.